Here are the Scrapbook pages we made at class last Thursday. Perfect for those summer memories!! These two pages feature the Mouthwatering Stamp set. I thought the images were perfect on these bright summer pages! We added crystal effects to the cherry on the ice cream cone and the seeds on the watermelon. My club members had fun finding other places to add the crytal effects as well!! We used the new Floral Frames Framelits on this page to highlight the cherries. I love how it kind of looks like a sun on this page, too! This last page features a bright Daffodil Delight base (not sure how bright it actually looks in these photos!) and the Lattice Bigz Die with the Big Shot. We added a cute ladybug to the page (I found this idea on Ronda Wade's training blog page that featured punch art cards) and a flower made with the Blossom Party Originals die with the Big Shot. 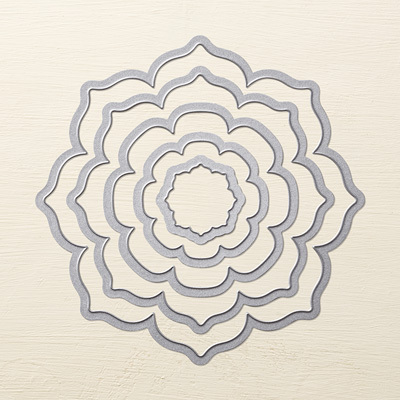 We also embossed the flower with the new Fancy Fan Textured Impressions Embossing Folder - I LOVE that folder! Hope you enjoyed these pages! Please let me know if you'd like to join us for the next Scrapbook Class in July (on July 24 at 7pm).